SUPPORT DYNAMO PROGRAMS THROUGH OUR HOLIDAY GIVING CAMPAIGN! This holiday season, empower Dynamo’s innovative music & arts programs, operations, community outreach, and mentoring initiatives. Every dollar you contribute goes directly towards equipping, empowering, and growing our local students and creating opportunities within the local music economy. All donors that make a one time contribution of $100+ or become monthly donors of $20+ each month will receive this exclusive t-shirt that is only available to our donors! 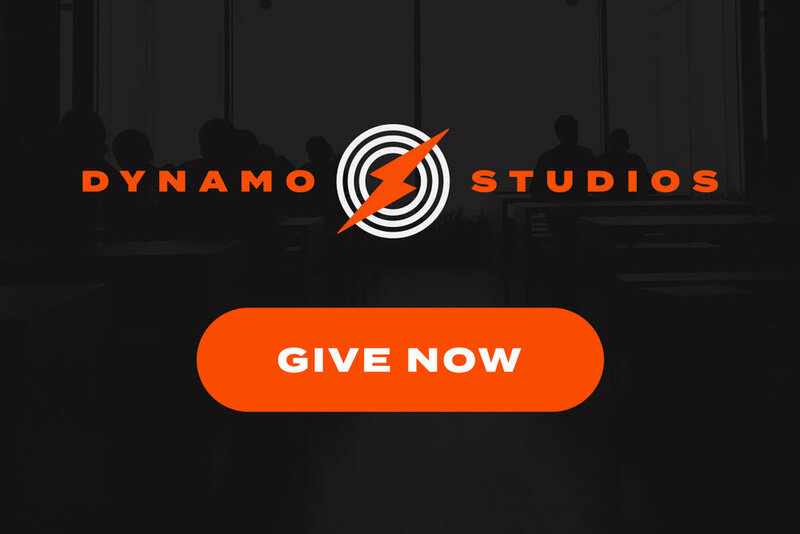 Watch the video to the left to hear from our team leaders about Dynamo Studios and why you should support our holiday giving campaign! We have some cool projects cooking for Chattanooga students, teachers, and music makers! Dynamo Studios creates an environment where education, the arts, and technology come together with the community to inspire cultural, entrepreneurial, and community growth. This December, help us launch our new programs by donating to Dynamo Studios so that we can reach our goal of $50,000. All funding will be used to kickstart programs, operations, and community outreach initiatives for Chattanooga’s vibrant students. Help us raise $50,000 this holiday season so that we can continue to inspire and empower students, launch our new programs, support teachers, and improve our community! Thanks to the generosity of a local foundation, we are already 50% of the way to our year-end goal! Your support can help get us over the top! Your support directly impacts local students and teachers! Dynamo Studios is a registered 501(c)3 non-profit. All donations are tax deductible! WANT MORE INFO ABOUT OUR PROGRAMS OR OUR ORGANIZATION? CHECK OUT THE LINKS BELOW!